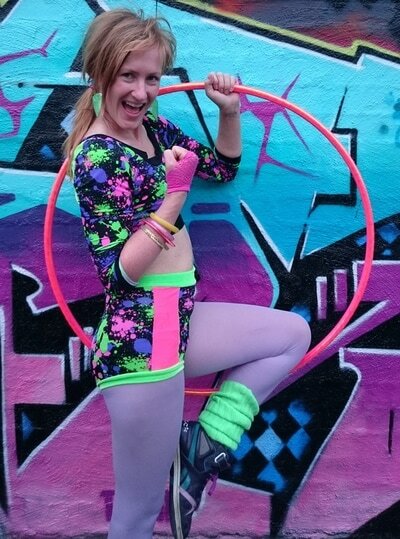 ​Jane Fondle has been hula hooping for 13 years and has been dancing all her life (mostly in her bedroom in front of the mirror, while singing into her hairbrush). 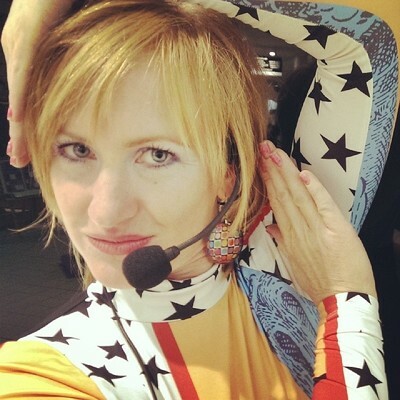 She has trained in many dance styles including contemporary dance, bellydance and hip-hop dance. 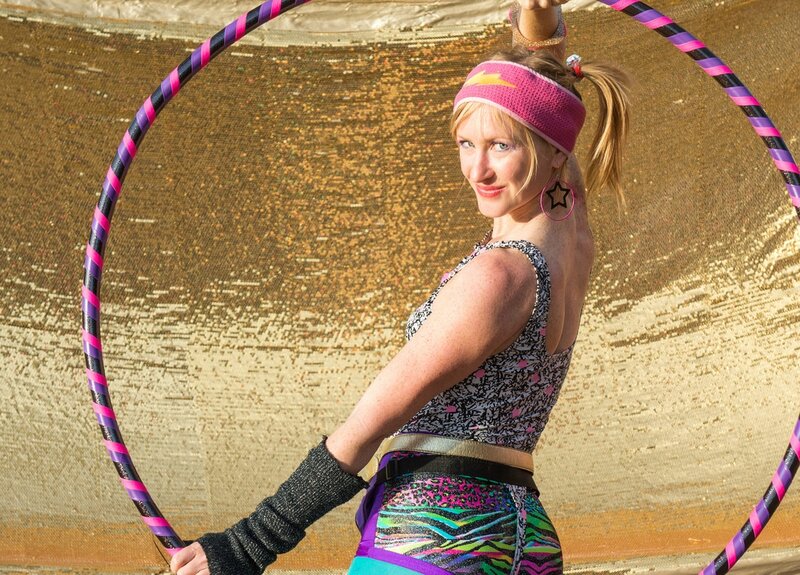 She is a prominent hoop teacher and performer in Melbourne, Australia and loves teaching her rad tricks to hoop stars of all levels. 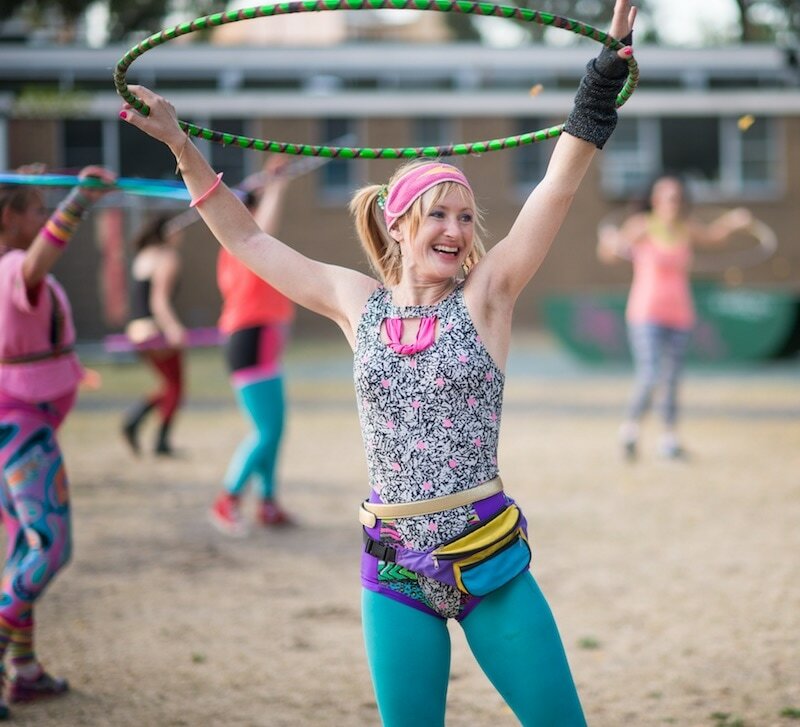 With a huge passion for dance, Fondle is always finding new ways to move and dance with the hoop and loves helping her students find their own creative expression while hula hooping. 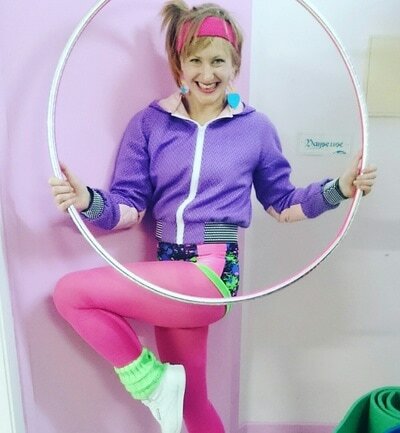 She also loves choreographing and teaching dance routines- with or without the hoop and she has an unhealthy obsession with the 80's and 90's. 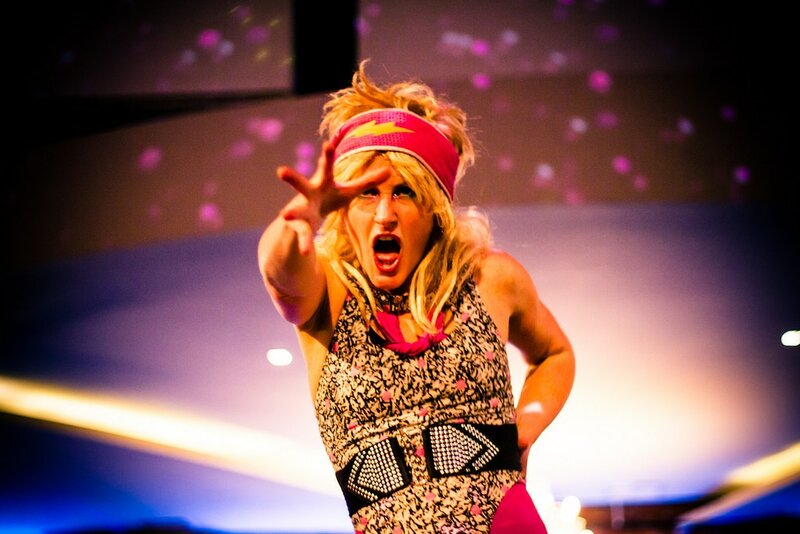 She's currently seeking counselling for this but refuses to remove her g-string leotard. ​Find out more about Jane and Hoops, Thighs & Buttocks on facebook and her website or on youtube. We are absolutely thrilled that Jane will choreograph and teach you this year's Hula Hoop Flashmob routine on Friday!